In another life I worked at a bank. We had a bunch of terminal servers – all of them packed with users. This buggy teller app would freeze up and no matter how much they tried to log on or log off, it would still be running in the terminal session. Worse yet, because they logged on and off so many times they had frozen sessions running across all the terminal servers. To fix it I would open the Microsoft Terminal Server management console, and then work my way through each server, then find the user, and then find the process that I needed to kill. A huge time sink. 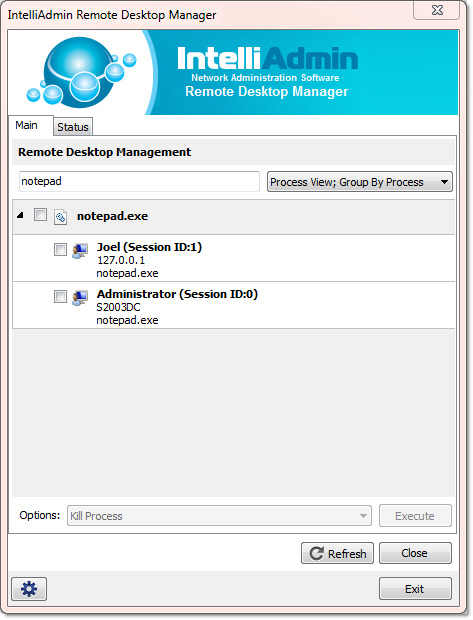 That is the beauty of our new Remote Desktop Manager. 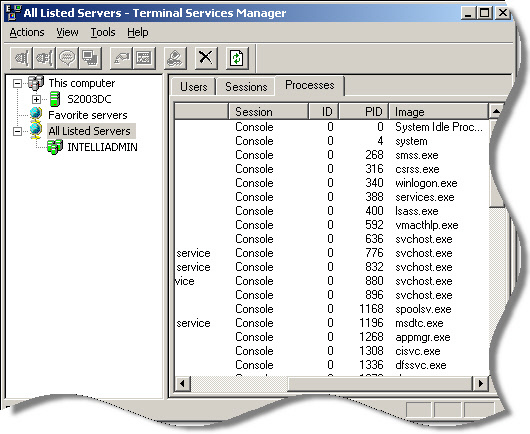 It makes it a breeze to manage one, or 100 terminal servers. You simply pick the machines you want to manage, enter your credentials, and then press start. Then, it pulls information from all the servers and organizes it so you can quickly get your task done. 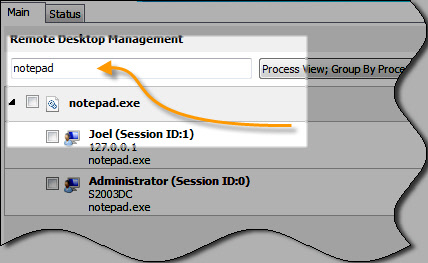 Need to find a process that might be running on multiple servers, under multiple sessions? Got an upgrade you are going to install tonight, and need everyone to get out? Want to logoff a user on all terminal servers? 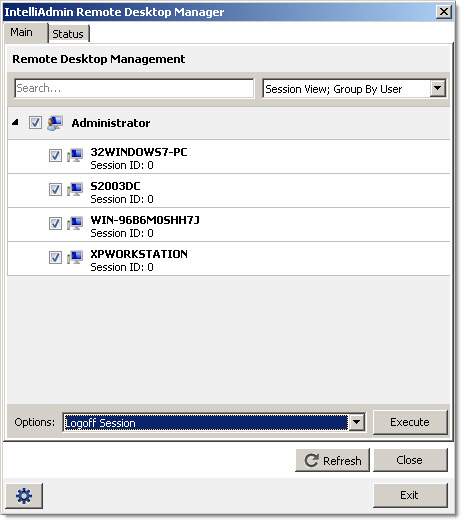 This free tool is a technology preview of the next version of Network Administrator. This functionality, and much more will be included in the next version. 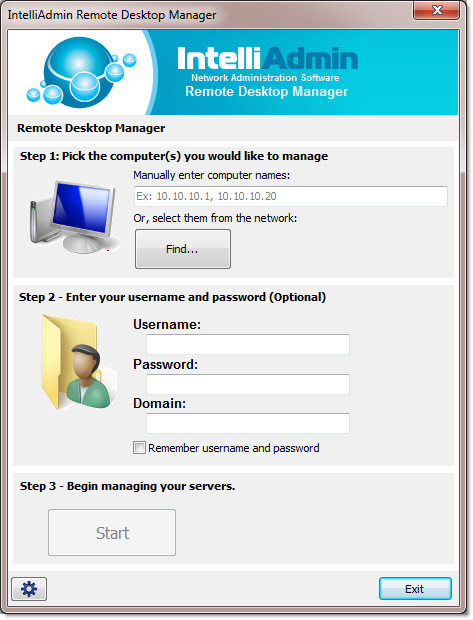 The Remote Desktop Management tool is free for personal and commercial use, and as always – no spyware or adware, only freeware goodness. this is EXACTLY what I’ve been waiting for, thanks soo much I can’t wait to try it out. Glad to hear it Scott. Hats off to you guys. This tool rocks! Surprised it is even free. You can’t even imagine how much time you saved me today. I love the fact I can find a user quickly by just typing in the search box. There is more to come David 🙂 This is just the beginning of the stream of free tools we are going to release. Thanks for the order Tim – really appreciate it. We won’t let you down with the next version…some really cool stuff in store. Gosh what a timesaver. Same situation here. 5 term servers with 30 users each. Got a few apps that lock up all the time. Now I can fix it before they even get off the phone! Great stuff steve. Love the weekly tips, this freebie is nice. Just wanted to say thanks to you and your team. I have been using this tool for a week now, and it has saved me so much time. I Just put the request to purchase Network Administrator – can’t wait to see what that thing will do when you release the next version. Thanks for the order Mitch. We are working hard on it, and we are excited about all the things we will be able to do with it…can’t wait to start posting the betas when we get enough completed. hello Steve, I have not been able to connect to any or my servers. either locally or remotely, by using the public IP. 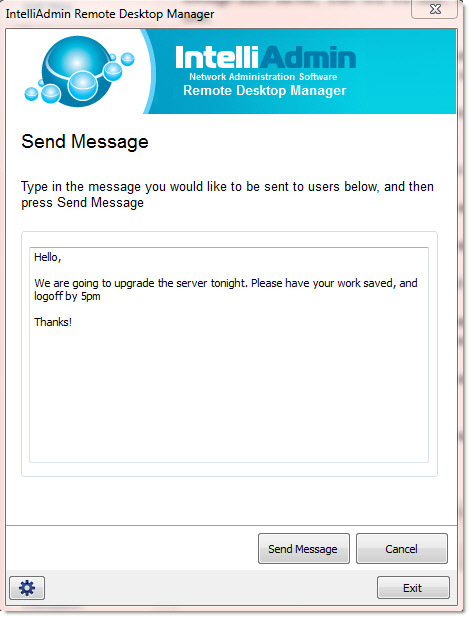 is there something that needs to be set up on the server side, to allow for remote connection/management? I believe that you need to open file and printer sharing in the firewall. I would not recommend opening that Internet side either. Let me know if the firewall issue fixes it for you. Will this work with Windows Home Server 2008? Not sure. Don’t have a copy of Home Server 2008 here to test with…it is possible MS has disabled some parts of the MSTS management system. We are working on a new version that can get around that…which will be part of the new Network Administrator.